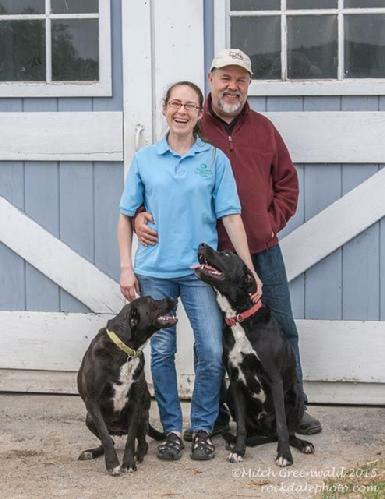 Anya Sheckley and Michael Lischin of Dutchess Views Farm handle the marketing and management functions including contracts, service certificates, reports and billing. Growing up near Belmont Racetrack and working on the backstretch there, Michael developed a strong interest and love of horses and horseracing. After finishing NYU Law School and becoming an attorney, Michael began working for the worlds leading horse auction company, Fasig-Tipton, in 1978. He lived in Midway, Kentucky for 15 years and eventually he moved back to New York to fulfill his desire to live and work on his own farm and take advantage of the exceptional NYBred Program. Rick Burke is the owner of Irish Hill Century Farm in Stillwater, NY. Rick is a fifth generation farmer, a graduate of highly regarded, SUNY Cobleskill and the recipient of the Century Farm Award. At Irish Hill, Rick is always committed to nurturing the talents of each individual horse. He prides himself on providing a peaceful and relaxing living environment, and endeavoring to uphold a best in class level of boarding quality by maintaining a personal connection with each horse and continuing to adapt to this ever-evolving industry. Stallion Manager, Bill Leak, who has been masterfully managing the stallions and breeding shed at Irish Hill Century Farm will continue those duties and more for the newly formed Irish Hill & Dutchess Views Stallions LLC. Bill is a well respected horseman whose resume includes developing Sez Who Thoroughbreds.